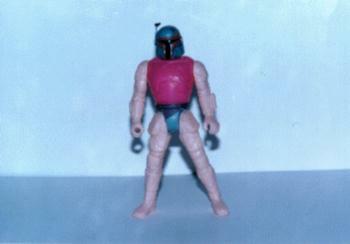 This figure is different from the Boba Fett currently in release. It has a different stance and hand position. The figure is unpainted except for head and hips which are probably from the production figure.